The maximum mass (or weight) of any motor vehicle fully loaded, which includes passengers, must not exceed the vehicle's Gross Vehicle Mass (GVM) specified by the manufacturer. You can check your vehicle's GVM by looking in the vehicle handbook or asking the manufacturer's representative. 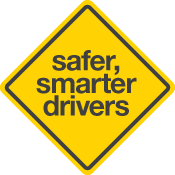 The information in this section applies only to motor vehicles with a GVM of 4.5 tonnes or less. Also, when the section talks about towing a trailer, the same rules apply when towing a caravan or even another motor vehicle. You must not drive with a load on a vehicle or trailer that is not properly secured, causes the vehicle or trailer to be unstable, or projects in a way that could be dangerous or cause an obstruction. Loads on vehicles, including trailers, must not project more than 1.2 metres over the front of the vehicle or 150 mm either side. Loads that overhang to the rear and cannot be seen easily must have a bright and visible piece of cloth attached by day and a red light by night. There are specific restrictions to rear projection limits. You must not deposit or stack anything on a road (or road-related area) without approval. If any article or material, including fuel, falls from your vehicle on to a road, or you place any article or material on a road that could damage the road or cause danger to other road users, you must remove it, or take action to have it removed, as soon as you can do so safely. It is an offence to fail to do so. Further information on loading is contained in the Load Restraint Guide and the Towing and Trailer Information Bulletin, which is available from Customer Service Centres. If you wish to tow a trailer, caravan or another motor vehicle, you must first find out if you are allowed to tow with your vehicle by checking in your vehicle handbook or contacting the manufacturer. If the handbook or manufacturer recommend against towing, you must not use the vehicle to tow, even if a tow bar has been fitted. If your vehicle can be used for towing, there are restrictions imposed by the towing capacity of your vehicle and towbar. The trailer's loaded mass must not exceed the towing capacity of your vehicle or the capacity of the towbar (whichever is the lowest). You should also comply with any conditions imposed by the vehicle manufacturer. You can find the towing capacity by looking in the vehicle handbook or contacting the manufacturer. The towbar should be marked with its towing capacity. Some older towbars may not be marked so you should seek advice from the manufacturer or a suitably qualified person to determine the towbar's capacity. If no towing capacity is specified for your vehicle or towbar, the trailer's maximum loaded mass must not exceed your vehicle's unloaded mass. However, if the trailer has brakes that can be operated from within the towing vehicle you may tow up to 1 1/2 times the towing vehicle's unladen mass. You can check your vehicle's unladen mass and your trailer's laden mass at a licensed weighbridge or at your local sand and metal depot. They must each be weighed while they are NOT connected. 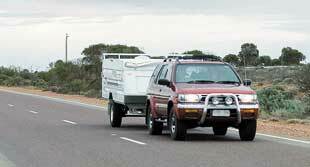 You must not drive a vehicle towing a trailer unless it is safe to do so. You must obey any speed limit applying to the road and must drive with due care and consideration of other road users. You must also be in control of the trailer (unless towing another motor vehicle and another person is in the towed vehicle and is controlling that vehicle's brakes and steering). Trailers that do not have 'break-away' brakes must also be attached to the towing vehicle by means of a chain or cable. If the trailer coupling fails, it must allow safe towing of the trailer and should prevent the drawbar from hitting the road. All trailers with a Gross Trailer Mass (GTM) of more than 750 kg must be fitted with brakes. To determine the GTM, a loaded trailer must be placed on a weighbridge. It must be connected to the towing vehicle, which should not be on the weighbridge. All trailers must have two indicators and those built since July 1973 must have two brake lights and two rear (tail) lights. Passengers must not travel in a trailer (including a caravan) that is being towed, or in the load carrying area of a utility or truck unless they are in a seating position that is suitable for their size and weight and is fitted with a seatbelt. This does not apply to a motor vehicle being towed if a person is travelling in the towed vehicle controlling its brakes and steering. A passenger should never be carried in a trailer, caravan or the boot of a car.